During the month of February, Americans tend to think a little more about their hearts, especially about what they can do to keep their arteries healthy. But arteries are just half of the story. While vein treatments today are outpatient procedures, minimally invasive and virtually pain-free, there ARE things one can do before seeing a doctor. • Walk. Walking causes the rhythmic contraction of calf muscles and helps promote blood flow to the heart. Walk at least 30 minutes every day– all at once, or in shorter increments. • Elevate. Elevating your legs above your heart as often as possible– for as long as 30 minutes, or as briefly as three minutes. The best time is after you have been standing, or after a hot shower. • Don’t smoke. Smoking and exposure to second-hand smoke constricts veins and affects overall circulation. • Sit properly. Focus on good posture and avoid crossing your legs, or sitting in ways that can compress veins for prolonged periods. Happy Valentine’s Day, and as always, feel free to give us a call at the Vein Healthcare Center with any vein-related questions you may have. This month marks the 50th anniversary of American Heart Month. 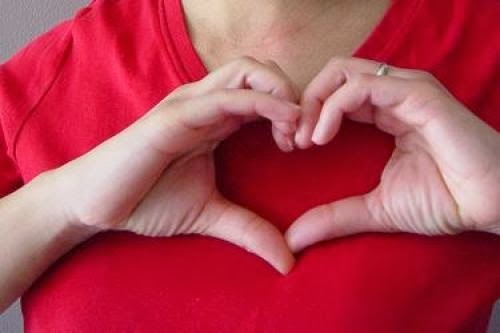 Did you know that veins play an important role in heart health? Here's how. For twenty-four hours a day, the human circulatory system is continuously moving oxygen-rich blood to every cell in the body. While the arterial side of the system is well understood, we are still learning about many issues within the venous, or vein, system. The venous system contains approximately 70 percent of the body’s total blood volume when a person is at rest. Healthy veins carry blood from all extremities back to your heart, but when veins are compromised, it can affect your overall health and wellbeing. The major parts of the circulatory system (also known as the cardiovascular system) are the heart, arteries and veins. Simply put, the heart pumps blood to the arteries, which take the oxygenated blood to all parts of the body. The veins take deoxygenated blood back up to the heart, where it is pumped directly to the lungs. In the lungs, carbon dioxide is replaced by oxygen, the renewed blood flows back to the heart, and the whole process begins again. In the leg veins, blood is usually traveling against gravity, thus the valves in the leg veins perform an important function. Venous insufficiency, or vein disease, occurs if the valves in the veins become damaged and allow the backward flow of blood in the legs. This pooling of blood can lead to a feeling of heaviness and can cause skin changes such as “spider veins,” or a brown, woody appearance to the lower leg. Left untreated, it can lead to leg pain, swelling and serious health problems. Venous disease is one of the most common health conditions in the United States. Many people have visible varicose veins, while others have no visible signs of the disease. It can affect men and women of all ages and activity levels, and while it has a strong genetic component, venous disease can be aggravated by environmental risks and other factors.